Propulsion: 2 shafts, two 3680 hp Admiralty Standard Range V16 diesels, two 3,000 hp English Electric main motors. 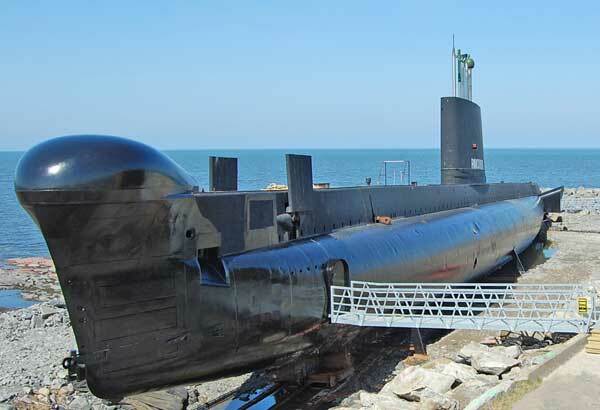 Onondaga is one of three Oberon class submarines purchased from Britain during the 1960s to replace older former United States submarines. They were state of the art conventional subs and considered very quiet. The Oberon's performed remarkably well in clandestine operations, performing surveillance and inserting special forces throughout the Cold War. Onondaga was one of the "super O-boats" and was built from the keel up for the Royal Canadian Navy. She received many Canadian changes from the British Royal Navy boats including an open-concept control room, relocation of the radar office to the machinery space under the control room, an an inboard battery-ventilation system, enhanced air conditioning and Canadian communications equipment. During the 1980's, all three RCN Oberons subs went through SOUP (Submarine Operational Update Program) refits which updated sonar and the torpedos carried. Two stern-facing 'short' torpedo tubes that were no longer needed were removed. Her original Mark 37 torpedos were replaced with faster, deeper operating, advanced control Mark 48 torpedoes. Sonar and fire control equipment was updated. 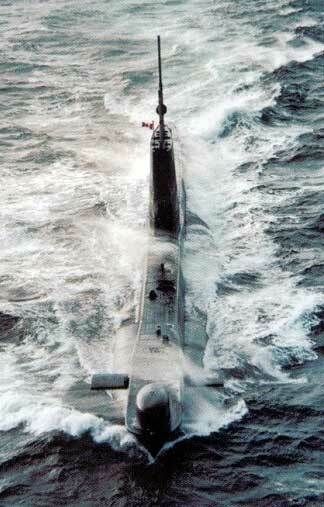 Onondaga was in service for 33 years, longer than any other submarine in the history of the Canadian Navy. She travelled more than 500,000 nautical miles, approximately half the distance covered was underwater. She visited more than 53 ports in 12 different countries. She was a frequent contributor to NATO operations. Onondaga joined the Site Historique Maritime de la Pointe-au-Pere museum in 2009.